It also unveiled a more powerful online model for clients. 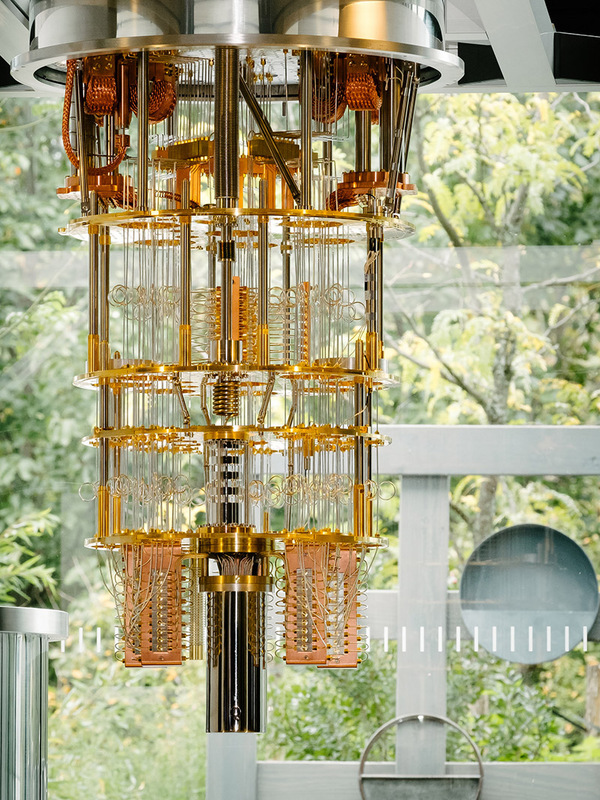 IBM Q research has built and tested an operational 50 qubit prototype processor, a huge leap up from its previous record of 17 qubits. The company is also set to make a 20 qubit quantum system available online for clients to try, with an updated superconducting design, connectivity and packaging. That'll let users run computations with a "field-leading" 90 microseconds of coherence, allowing "high-fidelity quantum operations," IBM says. Quantum computers work much differently than regular supercomputers, taking advantage of weird quantum physics principals like "superposition." In theory, they can run specific programs, like encryption-cracking algorithms, many, many times faster than regular computers. The 50 qubit system (shown below) is a significant leap toward practical quantum computers. "We are really proud of this, it's a big frickin' deal," IBM AI and quantum computer director Dario Gil told MIT Technology Review. Other players in quantum computing including Google, Intel and Rigetti. IBM's 50 qubit computer is just a prototype, but it will soon have a working 20 qubit computer that users can try online by the end of 2017, with improvements planned throughout 2018. The company has already made lower-powered machines available for cloud use, and used a 7 qubit model to simulate a molecule, for example. IBM says around 60,000 users have run 1.7 million experiments, resulting in 35 research papers. Quantum computers haven't been able to run programs that a regular computer can't, so the massive speed breakthrough many have hoped for has yet to arrive. Still, Google researchers said last month that a 50 qubit computer they're working on could surpass current supercomputers, achieving an (excellently-named) milestone called Quantum Supremacy. The technology is tricky, though, so there's good reason not to get too excited. But, there's also a good chance that quantum computers will finally break that barrier sometime in the next year or two.